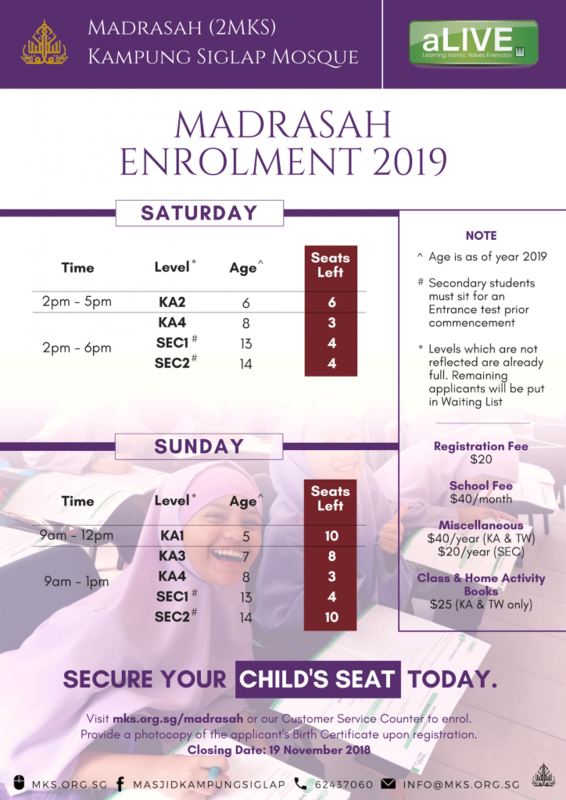 Registration for Madrasah Kampung Siglap Mosque (2MKS) 2019 is still open. Secure your child’s seat today. Download the application form and submit to us at info@mks.org.sg or head down to our Customer Service Counter to enrol. * Figures are correct at the time of posting.